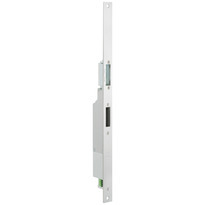 This self-locking escape door lock with an electric strike is VdS-certified and approved for use along escape routes and in fire and smoke protection doors. When doors feature the MEDIATOR® system, they are always locked on the outside. But thanks to the panic function, users are able to exit buildings from the inside without a key at any time – in normal circumstances or in the event of an emergency. Doors can also be opened using an intercom or access control system, even if they are permanently secured by the self-locking system. The MEDIATOR® system can even be combined with door automatics. MEDIATOR® features general technical approval certification for use in fire and smoke protection doors. The system also complies with industrial standards for doors on escape and emergency access routes (DIN EN 179 and DIN EN 1125). This allows building operators in the business and public sectors to benefit from the advantages that MEDIATOR® offers. The system is also VdS-certified. The independent testing institute VdS Schadenverhütung GmbH has just verified three features in MEDIATOR®. First of all, it has approved MEDIATOR as a mechanical locking system. 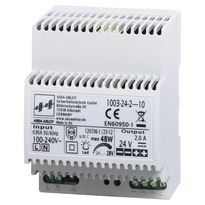 It is also recognised as an electro-mechanical actuator for access control systems. Last but not least, VdS has also certified the electronic lock monitoring system in MEDIATOR®’s striking plate. 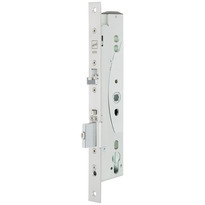 This successful system is also available with a multi-point lock which closes and locks different types of doors at three different points using a main lock and two auxiliary locks.